We’re deep into our series of Q&As with leading practitioners in the customer marketing space. If you’ve missed our interviews with Sasa Zelenovic of Acquia and Cristan Brown of Vision Critical, be sure to check them out! 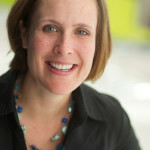 Here’s a little bit about Cate: Cate Vanasse is Senior Marketing Manager of Customer Success at Egencia, the corporate travel arm of Expedia, Inc. Cate is passionate about building happy and life-long customers by helping them to optimize their business travel programs and become industry superstars. We have had a marketer devoted to customers since I joined Egencia in 2007. Together with my colleagues focused on lead acquisition, we share the full client lifecycle. Customer expansion is truly the responsibility of every employee at Egencia but primarily the account management teams who work with clients on a daily basis. We subscribe to the model “if you are not helping a customer, you should be helping someone who is”. In this spirit, customer marketing and account management collaborate very closely to ensure we are setting the stage to keep clients for life. One of the most effective tactics for growing your customer base is listening. In the complex B2B sale, we need to ensure that we are always plugged in to the changing needs of our customers. Events such as mergers and acquisitions, changes in leadership, reorgs or lay-offs could spell big changes for our relationship with clients. For each company we partner with, we need to develop and maintain a healthy pool of advocates and stay plugged into their company’s news to remain relevant and informed. The act of listening takes many forms from old fashioned relationship management to the more high-tech, like leverage marketing automation, CRM and market intelligence tools to keep the front line teams informed of news and events impacting the client relationship. The proliferation of social media has redefined how clients buy products and services. Chances are, new leads will learn about you from other sources (i.e. your current or former clients) before even engaging with your website or marketing. Identifying and growing your customer advocates will ensure that the interactions a prospect has with your brand before they even hit your website are positive. In addition, your clients are a wonderful source of content to help feed those hungry marketing channels. Customer advocacy and marketing teams should work together to uncover content marketing gems like success stories, best practices and top customer FAQ. To ensure you don’t miss our next killer interview on customer marketing with Amy Bills of Blackbaud, subscribe to our blog at the right!